Cape Coral resident artist Dr. Kyra Belan, BFA, MFA, Ed.D, attended SECAC (Southeastern College Art Conference) in Sarasota, FL as a panel chair and presenter during October 8 – 11, 2014. Consistent with the theme of the conference, Nexus: From Handmade to High Tech, her panel was titled Installation Art: Fine Arts, Digital Media, or Social Issues Art? Belan and her presenters, artists and academics, are all involved in the creation of a variety of installation art projects, erasing the barriers between traditional mediums, incorporating various experimental technologies, and expressing their involvement with a variety of social issues. The artists on this panel have a common interest not only in the innovative use of space and media, but also work on on-going projects, which explain or promote social issues, such as ecology, animal rights, human rights, and feminism. 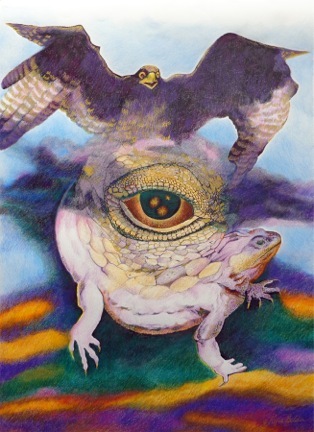 SECAC is a non-profit organization that supports and promotes scholarly research in the areas of the arts and art history in higher education on a national basis. 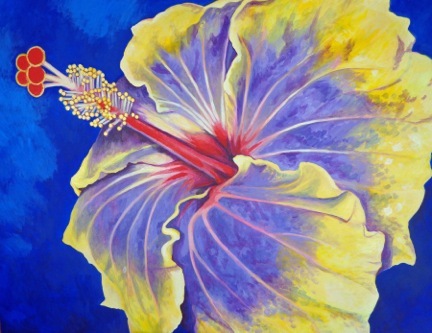 During the months of November and December of 2014, Kyra Belan will exhibit her art at the Cape Coral City Hall. The exhibition will feature her recent artworks, and will be open from November 3rd through December 30th, during normal business hours. Cape Coral City Hall is located at 1015 Cultural Park Blvd. 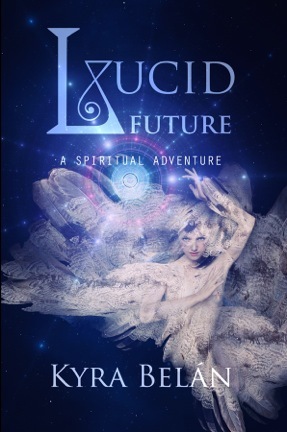 Dr. Belan will be exhibiting her latest paintings and drawings within an exhibition space inside the City Hall..
On December 6th, 2014 at 2 p.m. at the Cape Coral Public Library, 921 SW 39 Terrace, Dr. Kyra Belan will be signing her books, including her novel, Lucid Future. This book is a metaphysical novel, and is about super human beings, time travel, reincarnation, and shamanic quests. It appeals to those readers who seek positive mindset, inspirational thinking, and the divine within. The book, a paperback, is also available in audible and kindle formats on Amazon.